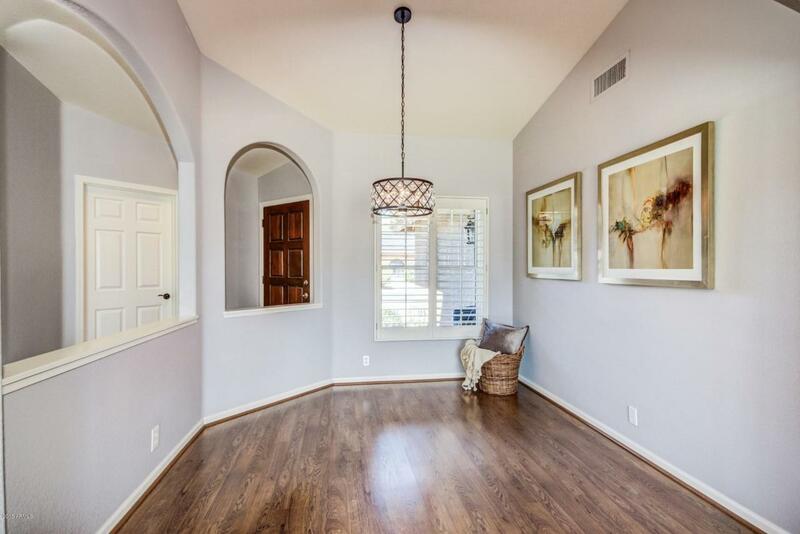 You will love this beautiful home and its vaulted ceilings, luxurious arched doorways, and wood flooring. 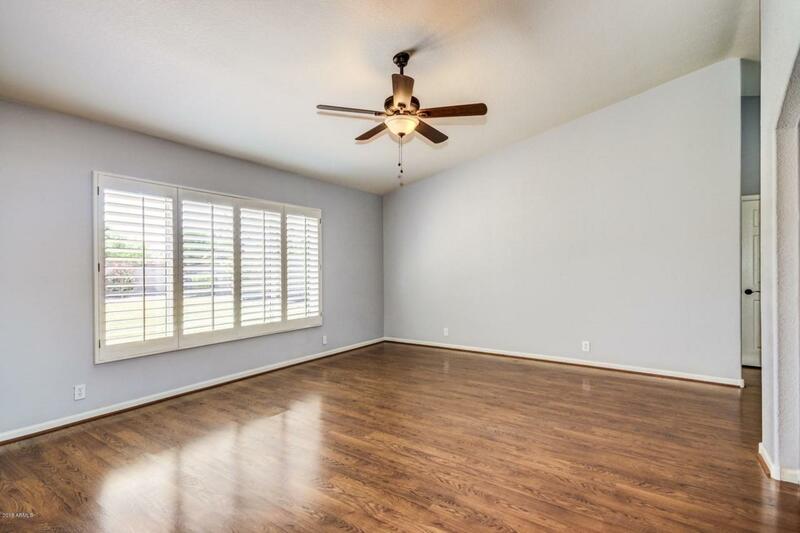 The white plantation shutters and fresh neutral paint give it a pristine look. 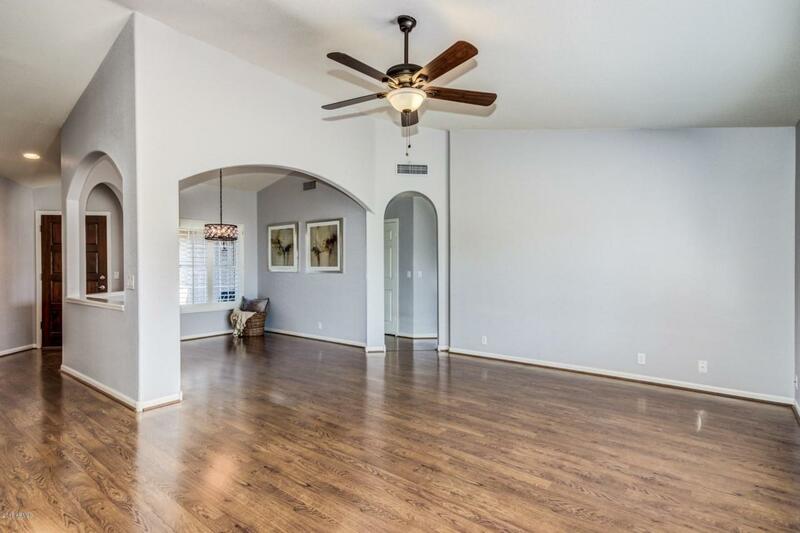 The kitchen features stainless steel appliances, plenty of cabinet space, and a kitchen island - perfect for cooking and hosting dinner! The backyard has a grassy center with a desert landscape perimeter, and more than enough room to add your landscaping ideas to make it your own. 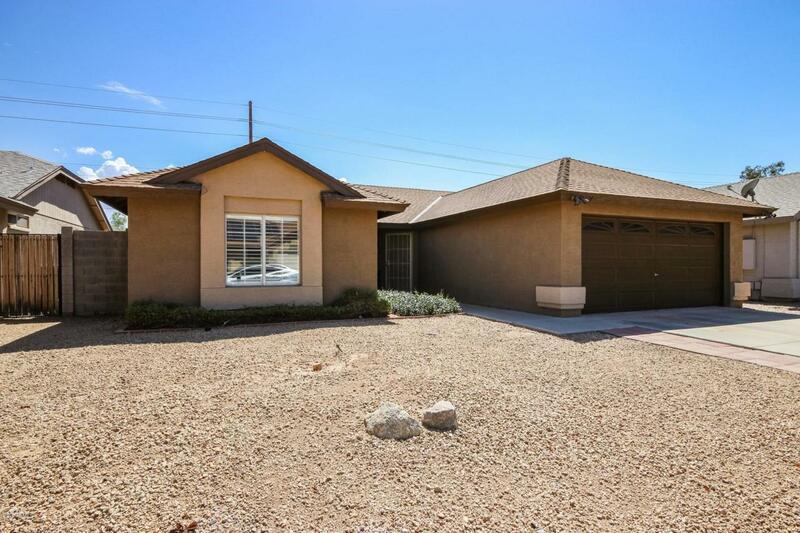 One mile away from Loop 101, this home is conveniently near freeway access and close to State Farm Stadium a.k.a Cardinal Stadium.